88+ MH/s - Innosilicon A2 Terminator - Scrypt ASIC mining machine! 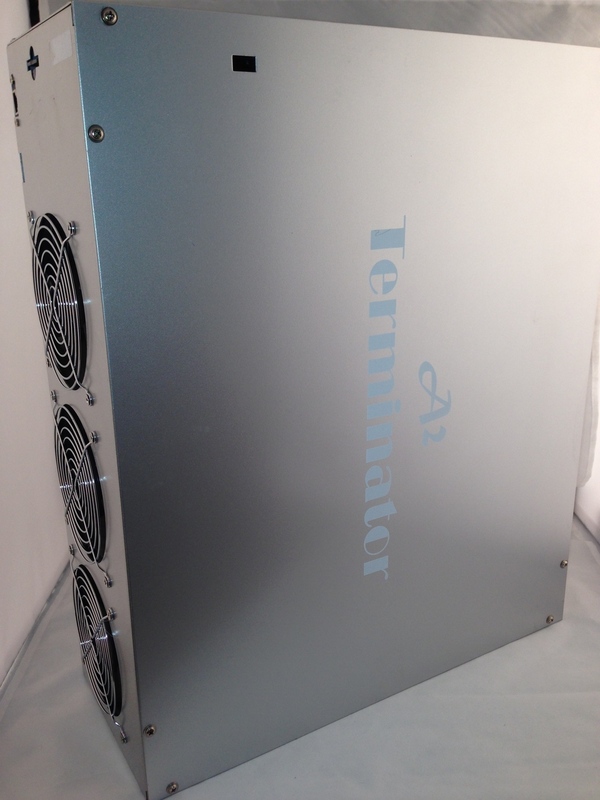 The A2 Terminator is a truly PLUG-N-PLAY mining machine. Simply turn it on, load its web port ScriptA interface, plug in your pool settings and you're off to the Scrypt Coin Races. Developed on 28nm using very low power design techniques and best efficiency Custom IC package with power bars for low voltage, high current feeding. Configurable in daisy chain mode for distributed work with up to 253 ASICs. 27 highly optimized hashing engines based on custom ASIC cells up to 1.6M. Hashing power of 1.6M in nominal and 1.8M in Turbo mode. Power usage of 10W in typical nominal and 12W in typical Turbo mode. Supply voltage of 0.78V in low power, 0.84 V in Turbo mode for ICs. Built in Raspberry PI controller with ScriptA interface installed. The ScriptA interface allows for a large number of pool entries, Live read outs, Chip frequency manipulation, and on the FLY pool switching. NOTE: These are used items.